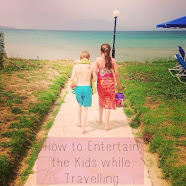 When we travel we always try to fit in as much as we can to make the most of our family breaks, and we like to pick attractions that will keep us busy for several hours at a time. 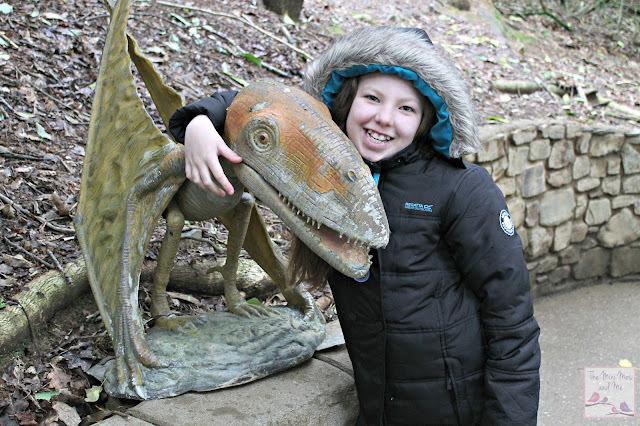 As Minxy is more than a little obsessed with animals and wants to be a vet one day, and Jamster loves everything prehistoric, we thought there was no better place to visit while in Devon than the Dinosaur and Wildlife Park at Combe Martin with rock pooling to follow. The dinosaurs are set within a beautiful botanical garden with natural waterfalls and streams for a truly tranquil experience. They are often lurking between tropical trees and bushes but as they are seriously huge in size, possibly even to scale, they are certainly easy to spot! There are animatronic versions, which move and roar, and this makes them really come to life. The little family of Triceratops in particular got a lot of attention of the Mini Mes along with the Spinosaurus which we had not heard of previously. The caged T-Rex by the entrance is also incredible to see and there are photo opportunities available during the day if you fancy a nice keepsake of your visit. After watching the sea lions swimming, which are situated at the top of the hill, we ventured down towards the primates, raccoons and lions. There are some really stunning wolves at the park and we spent some time admiring them (while howling) and watching them play together. The paths are a little steep but there are rails to hold and the setting feels very natural as you're surrounded by greenery which is lovely. .
Just before lunch we wandered over to the meerkats to witness their feeding time. This was such a wonderful experience as the staff unlock the gate and members of the public can actually go into their enclosure while they eat. Minxy loved this part in particular as she recently did a talk at school about them and Jamster found it hilarious when they kept coming over and sniffing his and my shoes! The gentleman doing the talk was very informative so as well as being fun it was educational for everyone too. 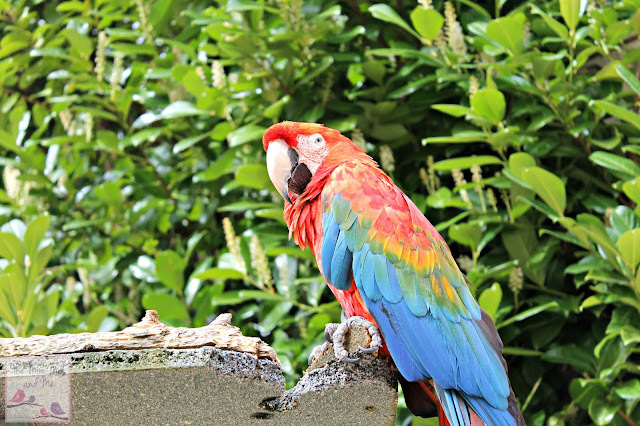 The tropical house is fantastic and with multi-coloured birds flying over head in the walk through aviary and tiny turtles below in the water, it felt as though we were in a mini rain forest for a moment. The atmosphere in the reptile room is equally as good as it is dark and creepy to match the arachnids you are surrounded by. To end our visit we had a look at the Dino Express Train, Tomb of the Pharaoh's (which has a part to make you jump!) Bug World where you can handle various creatures and the cafe. The soft play area is super for rainy days, to burn off some energy or for your child's birthday parties too. 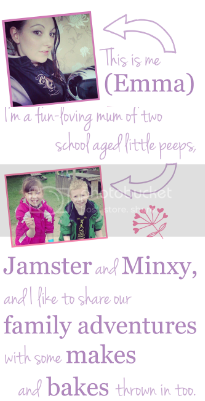 Entry for our little family of four would cost £47.96 but there are discounts available if you book online in advance with under 3's entering for free. 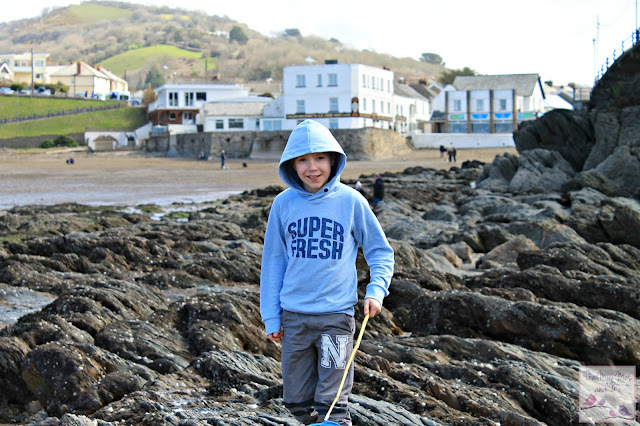 We decided to make a stop off at the Combe Martin beach on the way back to our accommodation and as the tide was out and there were plenty of rock pools, we purchased a bucket and a few fishing nets along with some ice creams, of course. That's a total necessity when near the seaside. We spent several hours clambering over the stones, searching for crabs and watching a group of students paint the shells of snails bright pink for a science experiment in the sunshine. We were all very thankful for such glorious weather, especially as spring had not long arrived, making our days outdoors far more enjoyable. There are toilets and pay and display parking nearby and this beautiful little cove is really great find. 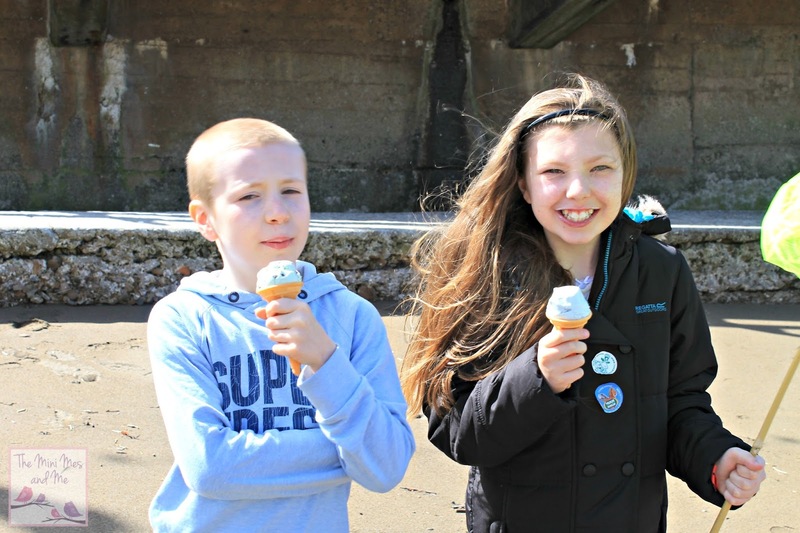 Lovely photos - sounds like you had a fantastic day out! £48 for a family is very acceptable compared to other days out , well worth the money. This all looks and sounds so great. Looks like you had a great day,it's a shame I don't live nearer. This looks like a brilliant place to visit, I think I'd love it (let alone the kids! ), it's a pity it's so far away, a day trip really isn't feasible. looks great for my daughter! I went to the dinosaur park for the first time last year and took my two boys! We had so much fun. So much to do and definately worth the entrance price! We wanted to go rockpooling on the causeway at Combe Martin too but we didn't have time in the end :( We are going back to visit the dinosaur park again this year!! Lovely! My kids would be amazed at the dinosaurs! 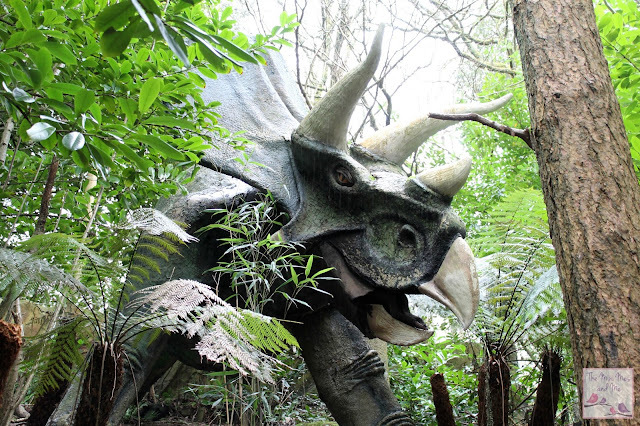 I think the dinosaur park would be a hit with my son! Such a funny day out and so many interesting things to see! My girls love dinos too so i think they would love visiting the park! 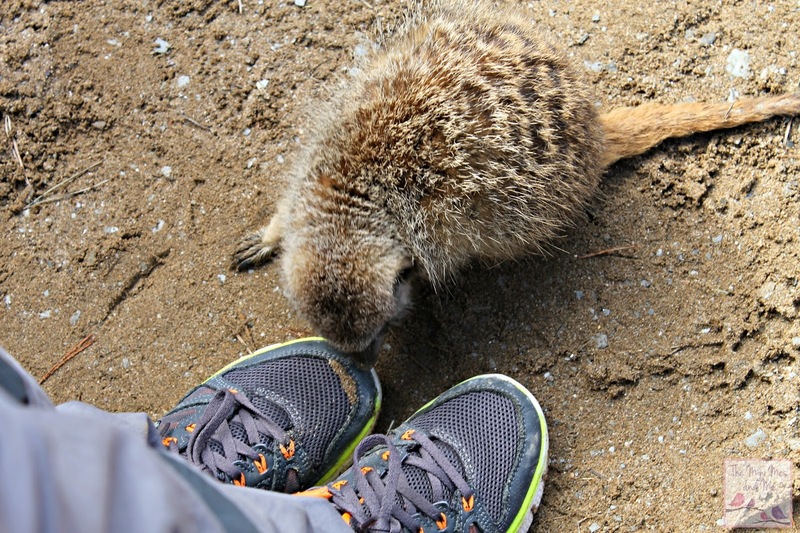 Wow, ,My boys LOVE meerkats, they would have been in their element. 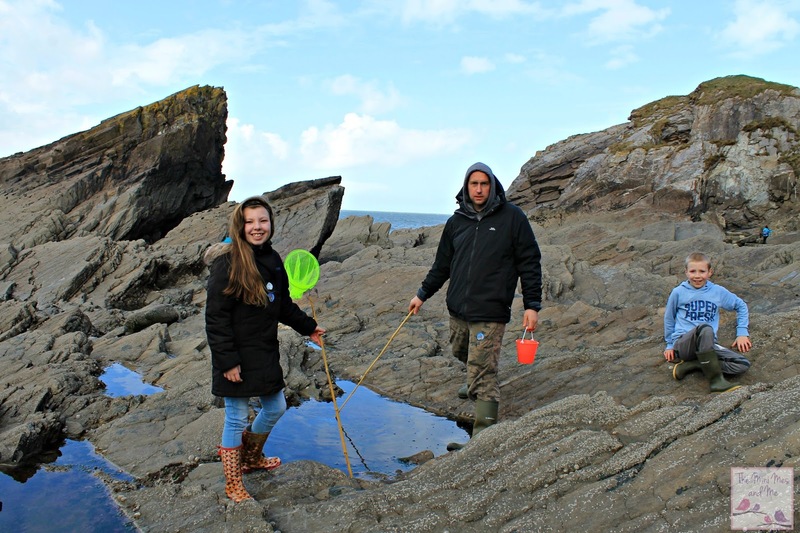 Rockpooling is great no matter what age you are. My kids love dinosaurs, it's a shame because we were going to Devon this year but had to change our plans and are now going to Blackpool. It looks like you had a real good day though and your photos are lovely. It's a shame we're so far away because my girls would love to go there! 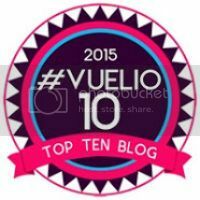 We love dinosaurs in our house! wow a fabulous looking day out. I love your photos... and would love to visit Devon one day! What a truly wonderful day out! I used to love Rock Polling when I was little but have never taken my own children & they are a little old now. The WIldlife park looks like a great place too & somewhere my kids would have loved to visit. It really looks a fab day out and the price is very reasonable! 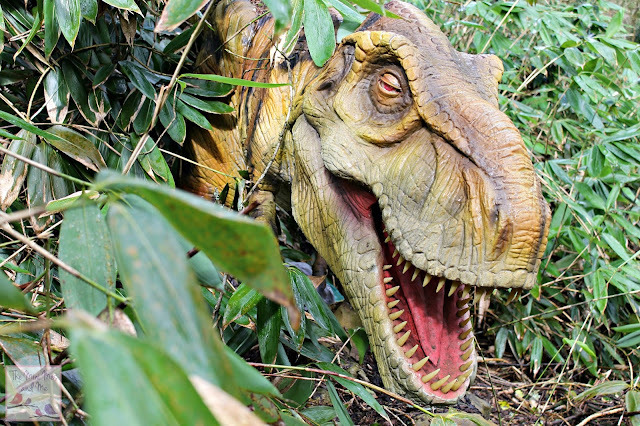 Oh we must make another trip to Devon, such a lovely part of the world and this dinosaur park sounds ace! Seems like everyone had a great time. POD would love it, she's learning about dinosaurs at the moment so she's been drawing all sorts!